What transportation problems will Minnesota researchers attempt to solve next year? MnDOT Research Services & Library has released its annual request for proposals, which provides a sneak peak into the projects that may be selected. 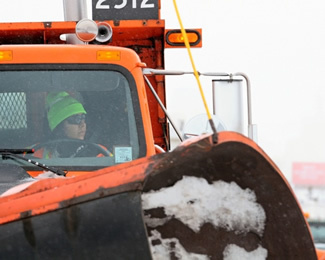 A roadside tool to assess snowplow driver fatigue. An educational video to help cities and counties invest more in pothole prevention. Creation of a chloride water quality standard for road salt that takes public safety into account. Assessment of the impact of different pedestrian crossing systems. Modern construction designs for new timber bridges in rural Minnesota. Each year, MnDOT and the Local Road Research Board solicit ideas for new research projects from MnDOT staff and city and county engineers. The ideas are then reviewed and ranked by the LRRB and MnDOT’S Transportation Research Innovation Group, which represents MnDOT’s districts and specialty offices. Of nearly 100 ideas submitted this year, transportation researchers will have a chance to bid on 24 ideas from seven different research areas. The current RFP solicitation is open to faculty from universities with MnDOT master contracts, as well as MnDOT’s own Office of Materials and Road Research. Munir said this year’s portfolio of potential projects was very well-balanced. Funding awards will be announced in December. If you have a research idea you’d like to submit for a future RFP, click here. Read a brief summary (PDF) of all the ideas or click below for individual need statements.